Stilpnomelane: Mineral information, data and localities. Named in 1827 by Ernst Friedrich Glocke from Greek στιλπνοζ "stilpnos" ("shining"), and μελανοζ "melanos" ("black"), alluding to its appearance. May be confused with biotite and other brownish mica, also with dark chlorite. Plates or scales, plumose or radiating groups. Ekmanite Obsolete name for a Mn-rich stilpnomelane; the name was discredited in 1954. The Mica Subcommittee (1998) regarded this as possibly Smectite. Ferrostilpnomelane A chemical variety of stilpnomelane noted for its being rich in ferrous iron, essentially an nearer to end-member stilpnomelane. Manganoan Stilpnomelane A Mn-bearing variety of stilpnomelane. Franklinphilite (K,Na)4(Mn2+,Mg,Zn)48(Si,Al)72(O,OH)216 · 6H2O Tric. Lennilenapeite K6-7(Mg,Mn,Fe,Zn)48(Si,Al)72(O,OH)216 · 16H2O Tric. Quartz 26 photos of Stilpnomelane associated with Quartz on mindat.org. Calcite 15 photos of Stilpnomelane associated with Calcite on mindat.org. Chlorite Group 9 photos of Stilpnomelane associated with Chlorite Group on mindat.org. Hematite 7 photos of Stilpnomelane associated with Hematite on mindat.org. Epidote 6 photos of Stilpnomelane associated with Epidote on mindat.org. Andradite 5 photos of Stilpnomelane associated with Andradite on mindat.org. Clinochlore 5 photos of Stilpnomelane associated with Clinochlore on mindat.org. Tremolite 5 photos of Stilpnomelane associated with Tremolite on mindat.org. Albite 5 photos of Stilpnomelane associated with Albite on mindat.org. Magnetite 5 photos of Stilpnomelane associated with Magnetite on mindat.org. 74.1.1.2 Lennilenapeite K6-7(Mg,Mn,Fe,Zn)48(Si,Al)72(O,OH)216 · 16H2O Tric. 74.1.1.3 Franklinphilite (K,Na)4(Mn2+,Mg,Zn)48(Si,Al)72(O,OH)216 · 6H2O Tric. 16.20.8 Lennilenapeite K6-7(Mg,Mn,Fe,Zn)48(Si,Al)72(O,OH)216 · 16H2O Tric. Beitr. mineral. Kenntnis Sudetenländer (1827) pt. 1, p. 68. Hutton, C. O. (1945): Additional Optical and Chemical Data on the Stilpnomelane Group of Minerals. American Mineralogist 30, 714-718. Hutton, C. O. (1956): Further data on the stilpnomelane mineral group. American Mineralogist: 41: 608-615. Nitsch, K. H. (1970) Experimentelle Bestimmung der oberen Stabilitätsgrenze von Stilpnomelan. Fortschr. Mineral. 47, Beiheft 1, 48-49 (in German). 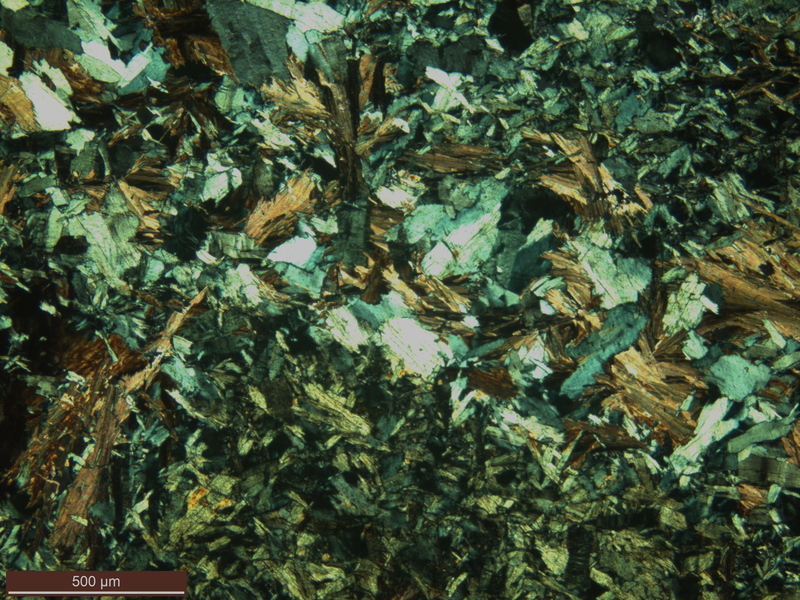 Brown, E. H. (1971): Phase relations of biotite and stilpnomelane in the greenschist facies. Contrib. Mineral. Petrol. 31, 275-299. Eggleton, R. A. (1972) The crystal structure of stilpnomelane. Part II. The full cell. Mineralogical Magazine 38, 693-711. Klein, C. (1974) Greenalite, stilpnomelane, minnesotaite, crocidolite and carbonates in a very low-grade metamorphic Precambrian iron-formation. Canadian Mineralogist 12, 475-498. Eggleton, R. A., Chappell, B. W. (1978) The crystal structure of stilpnomelane. Part III: Chemistry and physical properties. Mineralogical Magazine 42, 361-368. Miyano, T. (1982) Stilpnomelane, iron–rich mica, K–feldspar and hornblende in banded iron–formation assemblages of the Dales Gorge Member, Hamersley Group, Western Australia. Canadian Mineralogist 20, 189-202. Feininger, T. (1984): Stilpnomelane in metasomatic rocks associated with steatite and in regional schists, Quebec Appalachians. Canadian Mineralogist 22, 423-435. Guggenheim, S., Eggleton, R. A. (1994) Stilpnomelane and parsettensite: A distance least sqares (DLS) study. American Mineralogist 79, 438-442. The following Stilpnomelane specimens are currently listed for sale on minfind.com. Fitzherbert, J.A., Blevin, P.L. McKinnon, A.R. (2017) Turbidite-hosted intrusion-related mineralisation in the Cobar Basin: New insights from the south. Sixth Mines & Wines: Discoveries in the Tasminides 2017, Australian Institute of Geoscientists, AIG Bulletin 67. Barley, M.E., Pickard, A.L., Hagemann, S.G., and Folkert, S.L. (1999): Mineralium Deposita 34, 784-789. Grubb, P. L. C. (1971). Silicates and their paragenesis in the Brockman Iron Formation of Wittenoom gorge, Western Australia. Economic Geology, 66(2), 281-292.; Webb, A. D., Dickens, G. R., & Oliver, N. H. (2004). Carbonate alteration of the Upper Mount McRae Shale beneath the martite-microplaty hematite ore deposit at Mount Whaleback, Western Australia. Mineralium Deposita, 39(5-6), 632-645. Lascelles, D. F. (2006): Economic Geology 101, 1359-1376. Gole, M. J. (1981). Archean banded iron-formations, Yilgarn Block, western Australia. Economic Geology, 76(7), 1954-1974. Dreher, A.M., Xavier, R.P., Taylor, B.E., and Martini, S.L. (2008): Mineralium Deposita 43, 161-184.; Tazava, E. (1999). Mineralização de Au-Cu-(±ETR-U) associada às brechas hidrotermais do depósito de Igarapé Bahia, Província Mineral de Carajás, PA. MS Thesis; Tallarico, F. H. B., de Oliveira, C. G., & Figueiredo, B. R. (2008). The Igarapé Bahiacu-Au mineralization, Carajás Province. Brazilian Journal of Geology, 30(2). Peter, J.M. (1989): The Windy Craggy copper-cobalt-gold massive sulphide deposit, Northwestern British Columbia (114P). British Columbia Ministry of Energy Mines and Petroleum Resources, Geologica Fieldwork, 1988, Paper 1989-1, 455-466.; Schoeman, P. (1996). Overview and comparison of Besshi-type deposits: ancient and recent (Doctoral dissertation, Rhodes University). Ghent, E.D., Stout, M.Z., erdmer, P. (1990) Howieite in blueschists, Pinchi Lake, British Columbia. Canadian Mineralogist, 28, 855-858. Swinden, S., McBRIDE, D., & Dube, B. (1990). Preliminary geological and mineralogical notes on the Nugget Pond gold deposit, Baie Verte Peninsula, Newfoundland. Current Research, Newfoundland Department of Mines and Energy Report of Activities, Mineral Development Division, 201-215. Hoffmann, G. Christian (1896) Report of the Section of Chemistry and Mineralogy. Annual Report (new Series): Volume 1-XVI, 1885-1904, Volume 7, Geological Survey of Canada. Thurston, P. C., Kontak, D. J., & Côté-Mantha, O. (2014). Interpretations and Implications of Preliminary LA ICP-MS Analysis of Chert for the Origin of Geochemical Signatures in Banded Iron-formations (BIFs) from the Meadowbank Gold Deposit, Western Churchill Province, Nunavut. Geological Survey of Canada. Hannington M.D., Bleeker W. and Kjarsgaard I (1999). Sulfide Mineralogy, Geochemistry and Ore Genesis of the Kidd Creek Deposit: Part II. The Bornite Zone: Economic Geology, Monograph 10, 225-266. Bennett G. (1978) Geology of the Northeast Temagami Area, Ontario Geological Survey, Report 163, p.82. SABINA, A.P. (2003): Rocks & Minerals for the collector; Kirkland Lake - Rouyn-Noranda - Val d'Or, Ontario & Quebec. GSC Misc. Report 77, 62. Boucher, S. M. (2011). Ore petrology and alteration of the West Ansil volcanic-hosted Massive sulphide deposit of the Noranda mining camp, Rouyn-Noranda, Quebec. University of Ottawa (Canada). McMillan, R. H. (1973). Petrology, Geochemistry And Wallrock Alteration At Opemiska--a Vein Copper Deposit Crosscutting A Layered Archean Ultramafic-mafic Sill. PhD Thesis University of Western Ontario. Côté-Mantha, O., Daigneault, R., Gaboury, D., Chartrand, F., & Pilote, P. (2012). Geology, Alteration, and Origin of Archean Au-Ag-Cu Mineralization Associated with the Synvolcanic Chibougamau Pluton: The Brosman Prospect, Abitibi Greenstone Belt, Canada. Economic Geology, 107(5), 909-934. Sabiba (2003) 143.; Canadian Mineralogist 31, 695; Pan, Y., Fleet, M. E., Barnett, R. L., & Chen, Y. (1993). Pyrosmalite in Canadian Precambrian sulfide deposits; mineral chemistry, petrogenesis and significance. The Canadian Mineralogist, 31(3), 695-710. Massonne, H.J., Hervé, F., Medenbach, O., Muñoz, V., Willner, A.P. (1998) Zussmanite in ferruginous metasediments from Southern Central Chile. Mineralogical Magazine, 62:6, 869-876. Zeng, Y., and Liu, T. (1999): Ore Geology Reviews 15(1), 153-163. McQueen, K. G., & Cross, A. J. (1995). The Composition of Magnetite from the Ma On Shan Magnetite Skarn, Hong Kong. Hong Kong Geologist, 1, 49-51. Feng Xiancan, Yang Ruiying, Song Guisen, Li Chenggui, and Lu Guojun (1986): Acta Mineralogica Sinica 6(4), 333-337. Iwao, S. (1969) Banded magnetite ore deposits and metamorphic rocks in the vicinity of Yen-tou-tsun, Wu-tai-shan, Shan-hsi province, China (with appendix on hematite ore deposits in the vicinity of Ting-hsiang and Tung-yeh-chen). (In: Geology and Mineral Resources of the Far East, Vol 2, pp 425-441, Tokyo University Press). Lifei Zhang, Wenbo Jiang, Chunjing Wei, and Shenbao Dong (1999): Science in China, Series D (Earth Sciences), 42 (3), 233-239. Sidorinová T., Fediuk F.: Stilpnomelan v proterozoiku Říčanska ve středních Čechách. Zprávy o geologických výzkumech v roce 2007, Mineralogie, petrologie a geochemie, 191-193. Fojt B.: Ba-minerály železnorudné mineralizace na stratiformním sulfidickém ložisku Horní Benešov v Nízkém Jeseníku. Minerál, 2013, roč. 21, č. 4, s. 311-312.; Mücke A., Dolníček Z., Fojt B., Hladíková J., Pudilová M., Reif J., Škoda R.: The Horní Benešov ore deposit in the Devonian Šternberk-Horní Benešov Belt, Jeseníky Mts, Czech Republic. Part II: Fe-ore occurrences. – Čas. Slez. Muz. Opava (A), 2013, 62, 215-254. Paakkola, J. 1971. The volcanic complex and associated manganiferous iron formation of the Porkonen-Pahtavaara area in Finnish Lapland. Bulletin de la Commission Géologique de Finlande 247, 83 s.
Mutanen, T. 2011. Alkalikiviä ja appiniitteja. Raportti hankkeen " Magmatismi ja malminmuodostus II " toiminnasta 2002-2005.; Mutanen, T. 2011. Alkalikiviä ja appiniitteja. Raportti hankkeen " Magmatismi ja malminmuodostus II " toiminnasta 2002-2005. Audren, C., Triboulet, C., Chauris, L., Lefort, J.P., Vigneresse J.L., Audrain, J., Thiéblemont, D., Goyallon, J., Jégouzo, P., Guennoc, P., Augris, C., Carn, A. (1993) Notice explicative de la feuille île de Groix à 1/25000, B.R.G.M., Editions du Service géologique national, p.14. Audren, C., Triboulet, C., Chauris, L., Lefort, J.P., Vigneresse J.L., Audrain, J., Thiéblemont, D., Goyallon, J., Jégouzo, P., Guennoc, P., Augris, C., Carn, A. (1993) Notice explicative de la feuille île de Groix à 1/25000, B.R.G.M., Editions du Service géologique national, p.11. Brugger, J., Bonin, M., Schenk, K. J., Meisser, N., Berlepsch, P., & Ragu, A. (1999). Description and crystal structure of nabiasite, BaMn 9 [(V, As) O 4] 6 (OH) 2, a new mineral from the Central Pyrenees (France). European journal of mineralogy, 11(5), 879-890. Guitard, G. (2010): Catalogue raisonné de la collection de minéralogie régionale, C.E.R.P. de Tautavel, 64. De Ascenção Guedes, R. (2005): La goyazite de Saint-Aubin des-Châteaux (Loire-Atlantique). Le Règne Minéral, 65, 9. Rost, F., and Stettner. G. (1969): Contributions to Mineralogy and Petrology 24, 66-75. Meier, S. and Dünkel, B. (2010): Mineralien von der Dorschenmühle bei Lichtenberg, Franken. Lapis, 35 (10), 60-64; 90. Hoffman, C. & Keller, J. (1979): Xenoliths of lawsonite-ferroglaucophane rocks from a Quaternary volcano of Milos (Aegean Sea, Greece). Lithos, 12, 209-219. Dal Piaz, G.V., and Govi, M. (1968) Lo stilpnomelano in Valle d'Aosta: nuovi ritrovamenti. Bollettino della Società Geologica Italiana, 87, 91-108; Piccoli, G.C., Maletto, G., Bosio, P., and Lombardo, B. (2007) Minerali del Piemonte e della Valle d'Aosta. Associazione Amici del Museo "F. Eusebio" di Alba, L'Artigiana Srl - Azienda Grafica, Alba (Cuneo), 607 pp. Debenedetti, A. (1961) Stilpnomelano in rocce della Val d'Aosta. Rendiconti della Società Mineralogica Italiana, 17, 625-626; Piccoli, G.C., Maletto, G., Bosio, P., and Lombardo, B. (2007) Minerali del Piemonte e della Valle d'Aosta. Associazione Amici del Museo "F. Eusebio" di Alba, L'Artigiana Srl - Azienda Grafica, Alba (Cuneo), 607 pp. R. Lefèvre and A. Michard, Bull. Soc. Franç. Minér. Crist., 1965, LXXXVIII, pp. 664-677. Gioda, A., and Maraga, F. (1978) Morfologia sepolta del substrato roccioso Dora Maira e modello fluviale del torrente Pellice al suo sbocco in pianura (Piemonte). Atti del Convegno di geosismica a piccola profondità per la ricerca e l’ingegneria civile (Milano, 25 maggio 1978), 1-13. • Guastoni, A. & Pezzotta, F. (2004): Kristiansenite a Baveno, secondo ritrovamento mondiale della specie. 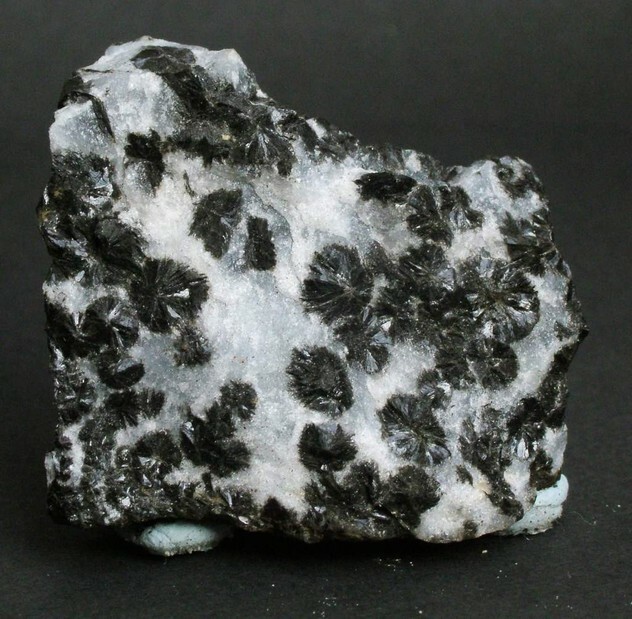 Rivista Mineralogica Italiana, 4/2004, 247-251. G. Gottardi, 1962 - Solfuri e ossidi di ferro del giacimento di Ortano - Atti Soc. Tosc. Sc. Nat., Mem. Serie A, 69: 327-341. Draper, G. (1986) Blueschists and associated rocks in eastern Jamaica and their significance for Cretaceous plate-margin development in the northern Caribbean. Geological Society of America Bulletin 97:1, 48-60. Alfredo Petrov collection; Ohe Rikosha specimens. Yui, S. (1962) Stilpnomelane from the Motoyasu mine, Shikoku. Journal of the Geological Society of Japan, 68, 597-600. Matsueda, H. (1981) Journal of the Mining College, Akita University, Ser. A, Mining Geology, 6, #1, 1-43. Shimazaki H., 1977. Grossular-spessartine-almandine garnets from some japanese scheelite skarns. Canad. Miner., 15: 74-80; Econ Geol (1980) 75:1066-1082; Sato, K. (1975) Stilpnomelane from the Fujigatani skarn ore deposit, Japan, and its bearing on the problem of ferric and ferrous stilpnomelanes. Neues Jahrbuch Mineralogie Mh., #4, 179-192. Nishimura, Y. (1971) Regional metamorphism of the Nishiki-cho district, southwest Japan. Journal of Science of the Hiroshima University, Series C (geology and mineralogy), 6, #3, 203-268. Syed Hasan, S., Mohd Kusin, F., Jusop, S., & Mohamat Yusuff, F. (2018). Potential of Soil, Sludge and Sediment for Mineral Carbonation Process in Selinsing Gold Mine, Malaysia. Minerals, 8(6), 257. Kartashov P.M., Voloshin A.V., PakhomovskiiYa.A. On the zonal crystaline gadolinite from the alkaline granite pegmatites of Haldzan Buragtag (Mongolian Altai), - Zapiski VMO, 1993,N3,p. 65-79. Pavel M. Kartashov data; P.M. Kartashov data; Kovalenko, V. I., Yarmolyuk, V. V., Sal nikova, E. B., Kartashov, P. M., Kovach, V. P., Kozakov, I. K., ... & Yakovleva, S. Z. (2004). The Khaldzan-Buregtei Massif of peralkaline rare-metal igneous rocks: structure, geochronology, and geodynamic setting in the Caledonides of Western Mongolia. Petrology c/c of Petrologiia, 12(5), 412-436. Pringle, I.J.,Kawachi, Y (1980) Axinite mineral group in low-grade regionally metamorphosed rocks in southern New Zealand. American Mineralogist, 65:1119-1129. Ashley, P.M., Craw, D. (1995) Carrick Range Au and Sb mineralisation in Caples Terrane, Otago Schist, Central Otago, New Zealand. New Zealand Journal of Geology and Geophysics, 38:2, 137-149.
Henley, R.W. (1975) Metamorphism of the Moke Creek lode, Otago, New Zealand. New Zealand Journal of Geology and Geophysics, 18:2, 229-237. Grapes, R. H., Watanabe, T. (1992) Paragenesis of titanite in metagreywackes of the Franz Josef-Fox Glacier area, Southern Alps, New Zealand. European Journal of Mineralogy 4: 547-555. Sudo, T. (1944) Journ. Geological Society of Japan, 51, 606. Todor Serafimovski, Blažo Boev, Goran Tasev (2012): SOME QUANTITATIVE ASPECTS OF THE MAJOR TYPES OF ORES AT THE RŽANOVO FE-NI LATERITIC DEPOSIT, R. MACEDONIA. Geologica Macedonica, 26, 21–35. ; T. Serafimovski, A. V. Volkov, B. Boev, G. Tasev (2013): Ržanovo metamorphosed lateritic Fe-Ni deposit, Republic of Macedonia. Geology of Ore Deposits 55, 383–398. Self collected by P. Andresen. Raade,G. (2005): Gjerdingen-ekeritten, en unik mineralforekomst. Norsk Bergverksmuseum Skrift nr. 30, p. 18. McQueen, K. G. (1990): The Dragset copper-zinc deposit: a deformed, volcanogenic sulphide occurrence in the Løkken greenstones, Central Norway. Norsk Geologisk Tidsskrift, 70 (1), 1-19. Larsen, A. O., Raade, G. & Sæbø, P. C. (1992): Lorenzenite from the Bratthagen nepheline syenite pegmatites, Lågendalen, Oslo Region, Norway. Norsk Geologisk Tidsskrift, 72, 381-384. Wajsprych, B., & Achramowicz, S. (2003). On the new wildflysch-to-flysch, blueschist-rich Lower Visean succession of the Western Sudetes (SW Poland). In Annales Societatis Geologorum Poloniae (Vol. 73, No. 2, pp. 123-137). Barriga, F. J. A. S. and Fyfe, W. S. (1988). Giant pyritic base-metal deposits: The example of Feitais (Aljustrel, Portugal). Chemical Geology 69, 331-343. Bindi, L., & Cipriani, C. (2003). Plumbian baksanite from the Tyrnyauz W–Mo deposit, Baksan River valley, northern Caucasus, Russian Federation. The Canadian Mineralogist, 41(6), 1475-1479. Min Rec vol 32, pp 7-30 (2001); Rogulina, L.I., and Sveshnikova, O.L. (2008): Geology of Ore Deposits 50(1), 60-74. Brusnitsyn, A. I., Kuleshov, V. N., Perova, E. N., & Zaitsev, A. N. (2017). Ferromanganese carbonate metasediments of the Sob area, Polar Urals: Bedding conditions, composition, and genesis. Lithology and Mineral Resources, 52(3), 192-213. Kuleshov, V.N., and Bych, A.F. (2002): Lithology and Mineral Resources 37(4), 330-343. Ružička P., Mikuš T., Bačík P., Števko M. (2018): Stilpnomelán z lokality Trohanka pri Prakovciach (Volovské vrchy, Slovenská republika). Bull. Mineral. Petrolog. 26, 1, 28-36 (in Slovak with English abstract). Hammond, N. Q. & Moore, J. M. (2006): Mineralium Deposita 41, 483-503. Kinosaki, Y. (1941) Jour. Min. Soc. Korea, v. 24, no. 12. Krähenbühl H. (1990): Die Blei-Zink-Baryt-Lagerstätten im Lauterbrunnental, Berner Oberland. Bergknappe 51, 14-20. Brugger J. (1996): The Fe, Mn, (V, Sb, As, Be, W) deposits of Val Ferrera (Graubünden, Switzerland). Unpublished PhD Thesis, Univ. Basel. 188 p.
Stalder, H. A., Wagner, A., Graeser, S. and Stuker, P. (1998): "Mineralienlexikon der Schweiz", Wepf (Basel), p. 389. Şentürk, K., and Okay, A. (1981-82): Bulletin of the Mineral Research and Exploration Institute of Turkey, Foreign Edition, 97-98, 72-75. Betterton, J. (2000) Famous Mineral Localities: Penberthy Croft Mine, St. Hilary, Cornwall, England. UK Journal of Mines & Minerals, 20, 7-37. Betterton, J. 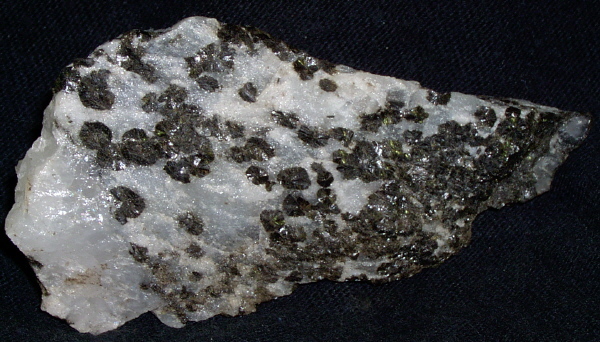 (1997) Stilpnomelane from Penberthy Croft Mine, a Second Cornish Occurrence. UK Journal of Mines & Minerals, 18, 15. Eur. J. Mineral. , 1993, 5, pp. 925-935. Lordo, Kathleen M. and Lowell, Gary R. (2002), Composition of Color-Zoned Axinite from the Garnet Hill Skarn, California; Geological Society of America 2002 Denver Annual Meeting (October 22-30, 2002), Session 158, Paper No. 158-2.
ⓘ Furnace Creek Wash (Monte Blanco Borax and Salt mining district; Death Valley Borax and Salt mining district) ? Murdoch, Joseph & Robert W. Webb (1966), Minerals of California, Centennial Volume (1866-1966): California Division Mines & Geology Bulletin 189: 352. Hewett, Donnel Foster, Charles Wesley Chesterman & Bennie Wyatt Troxel (1961), Tephroite in California manganese deposits: Economic Geology: 56: 54; Murdoch, Joseph & Robert W. Webb (1966), Minerals of California, Centennial Volume (1866-1966): California Division Mines & Geology Bulletin 189: 353; Pemberton, H. Earl (1983), Minerals of California; Van Nostrand Reinholt Press: 432. Sharp, W.E. (1959) Minerals from Los Angeles County, California. Printed privately, Los Angeles, California: 42; Pemberton, H. Earl (1983), Minerals of California; Van Nostrand Reinholt Press: 432. Murdoch, Joseph & Robert W. Webb (1966), Minerals of California, Centennial Volume (1866-1966): California Division Mines & Geology Bulletin 189: 353. Chesterman, C.W. (1966b), Mineralogy of the Laytonville quarry, Mendocino County, California, in: Geology of Northern California: California Division Mines & Geol. Bulletin 190: 506; Rice, S.J. (1966) A new mineral locality. California Division of Mines and Geology Mineral Information Service: 19: 7; Onucki, H. and Ernst, W.G. (1969) Coexisting sodic amphiboles and sodic pyroxenes from blueschist facies metamorphic rocks. Mineralogical Association of America Special Paper 2: 242; Pemberton, H. Earl (1983), Minerals of California: 432.; Murdoch, Joseph & Robert W. Webb (1966), Minerals of California, Centennial Volume (1866-1966): California Division Mines & Geology Bulletin 189: 70.; Wood, R. W. (1979) The iron-rich blueschist facies minerals: 2. Howieite. Mineralogical Magazine 43:363-370.; Robert Muir Wood (1982) The Laytonville Quarry (Mendocino County California) Exotic Block: Iron-rich Blueschist-Facies Subduction-Zone Metamorphism. Mineralogical Magazine 45:87-99. Anonymous (1964), Three new minerals from California (deerite, howieite, and zussmanite): California Division of Mines and Geology, Mineral Information Service: 17: 138; USGS MRDS database (2005), loc. file ID #10286314 & 10031493. McKee, Bates (1962), Widespread distribution of aragonite in the Pacheco Pass area, California (abstract): Geological Society of America Special Paper 68: 384; Pemberton, H. Earl (1983), Minerals of California; Van Nostrand Reinholt Press: 432-433.
ⓘ Meadow Lake District ? Murdoch, Joseph & Robert W. Webb (1966), Minerals of California, Centennial Volume (1866-1966): California Division Mines & Geology Bulletin 189: 353; Pemberton, H. Earl (1983), Minerals of California; Van Nostrand Reinholt Press: 432. Ernst, W.G. (1965) Mineral paragenesis in Franciscan metamorphic rocks, Panoche Pass, California. Geological Society of America Bulletin: 76: 888; Pemberton, H. Earl (1983), Minerals of California; Van Nostrand Reinholt Press: 488.; Wood, R. W. (1979) The iron-rich blueschist facies minerals: 2. Howieite. Mineralogical Magazine 43:363-370. McKee, Bates (1962), Aragonite in the Franciscan rocks of the Pacheco Pass, California: American Mineralogist: 47: 382, 384; Murdoch, Joseph & Robert W. Webb (1966), Minerals of California, Centennial Volume (1866-1966): California Division Mines & Geology Bulletin 189: 299-300, 353; Pemberton, H. Earl (1983), Minerals of California; Van Nostrand Reinholt Press: 432, 492. Hutton, Colin Osborne (1956), Further data on the stilpnomelane mineral group: American Mineralogist: 41: 608; Murdoch, Joseph & Robert W. Webb (1966), Minerals of California, Centennial Volume (1866-1966): California Division Mines & Geology Bulletin 189: 353; Pemberton, H. Earl (1983), Minerals of California; Van Nostrand Reinholt Press: 433. Hutton, Colin Osborne (1948), Stilpnomelane and pumpellyite, constituents of the Franciscan series (abstract): Geological Society of America Bulletin: 59: 1373-1374; Pemberton, H. Earl (1983), Minerals of California; Van Nostrand Reinholt Press: 433. Coleman, R.G. & D.E. Lee (1963), Glaucophane-bearing metamorphic rocks of the Cazadero area, California: Journal of Petrology: 4: 297; Pecora, W.T. and Staff (1965) Mineral Resources. Geological Survey Research, 1965. USGS Professional Paper 525-A, 376 pp. : 149 (49 ? ); Pemberton, H. Earl (1983), Minerals of California; Van Nostrand Reinholt Press: 433, 493. Wood, R. W. (1979) The iron-rich blueschist facies minerals: 2. Howieite. Mineralogical Magazine 43:363-370. Murdoch, Joseph & Robert W. Webb (1966), Minerals of California, Centennial Volume (1866-1966): California Division Mines & Geology Bulletin 189: 353; Pemberton, H. Earl (1983), Minerals of California: 433. Leonardo, O.H. and Fyfe, W.S. (1967) Serpentinites and associated albitites, Moccasin quadrangle, California. American Journal of Science: 265: 613; Pemberton, H. Earl (1983), Minerals of California; Van Nostrand Reinholt Press: 433.
ⓘ State Route 20 road cut ? ⓘ Thomaston Dam railroad cut ? ⓘ Lane & Son traprock quarries (Lane's Quarry) ? Shannon, Earl V. (1920) Diabantite, stilpnomelane, and chalcodite from Westfield (Proc. Unites States Nat. Mus. 57:397). Shannon, Earl V. (1920) Diabantite, stilpnomelane, and chalcodite from Westfield (Proc. Unites States Nat. Mus. 57), p. 401). Palache & Fraprie, Proc.Am.Acad.Arts.Sci. 38:383-393. Wadsworth, M.E. (1877) Notes on the Mineralogy and Petrography of Boston and Vicinity. The Intrusive Rocks in the Vicinity of Boston. In Proceedings of the Boston Society of Natural History, 19:217-238. Januzzi, 1976. Mineral Localities of Connecticut and Southeastern New York State (Taylor Assoc./Mineralogical Press). Chapter: "Massachusetts Mineral Localities," p261; Rocks & Min. : 19:244; 21:75. McSwiggen, P. L., Morey, G. B., & Cleland, J. M. (1994). Occurrence and genetic implications of hyalophane in manganese-rich iron-formation, Cuyuna Iron Range, Minnesota, USA. Mineralogical Magazine, 58(392), 387-400. Chusi Li, Ripley, E.M., Oberthür, T., Miller, Jr., J.D., and Joslin, G.D. (2008): Mineralium Deposita 43, 97-110. Harvard Mineralogical Museum, no. 123545. Mins. of NYC & Environs, NY Min. Club (1931), Manchester. Oen, et al. (1984) The Nickel-arsenide Assemblage from Franklin, New Jersey: Description and Interpretation, Neues Jahrbuch fuer Mineralogie Abhandlungen, v. 150, p. 259-272.
ⓘ Buckwheat dump mineral collecting site ? Peters, Thomas, Koestler, Robert, Peters, Joseph, and Grube, Christian (1983) Minerals of the Buckwheat Dolomite, Franklin, New Jersey, Mineralogical Record. ⓘ Taylor Road dumps ? Oen, et al, Neues Jahrbuch für Min. Abhandlungen:150:259-272 (1984); Dunn(1995):Pt4:472. 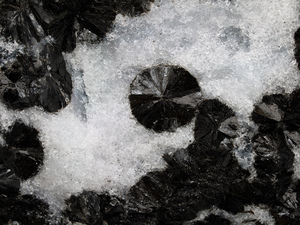 [var: Ferristilpnomelane] Mineralogical Record: 15(4): 199-216. Hershel Friedman collection (2007). Confirmed by Michael Hawkins, NY State Museum, 2008. Wood, R. W. (1979) The iron-rich blueschist facies minerals: 2. Howieite. Mineralogical Magazine 43:363-370.; Robert Muir Wood (1982) The Laytonville Quarry (Mendocino County California) Exotic Block: Iron-rich Blueschist-Facies Subduction-Zone Metamorphism. Mineralogical Magazine 45:87-99. Dutton, Carl, (1971) Geology of the Florence Area, Wisconsin and Michigan: U. S. Geological Survey Professional Paper 633, 54 p. and 8 maps. La Berge, G. (1984) The Geologic History of Wisconsin: Rocks and Minerals 59 (2), 60-73. Rocks & Min. : 62: 188.